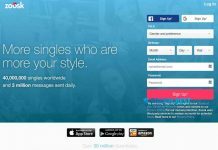 Home Dating sites Hinge Review – Can You Find Something Real With This Dating App? 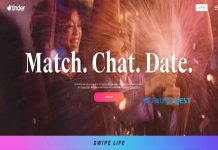 Hinge Review – Can You Find Something Real With This Dating App? How To Delete Hinge Account? 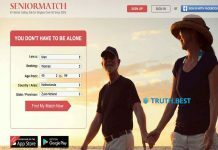 With the exceptional variety of dating apps, it is difficult to choose the one that really connects you with interesting people. All of them cover similar features, but their matching algorithms are not alike. Some of such apps don’t even do real matching – they simply offer you users, nearby. That’s why it’s better to check the dating apps reviews before purchasing a premium account at one of them. Read Hinge review from Truth.Best to discover how it works and explore its user base. Founded in 2012, Hinge was aimed to grasp younger and cooler audience than eHarmony. At the same time, they decided to step back from the popular swiping method to launch the relationship app. Did the developers succeed in reinventing online dating with Hinge? Keep reading to find out more about Hinge now. After you set up your profile, go ahead to liking other profiles. The first three-five people on your list will be your matches, the others are just randomly selected profiles. You can either like or dislike the user to view other accounts. Hinge is deeply integrated with Facebook. 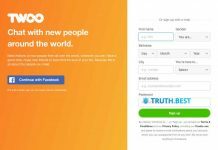 Its matching algorithm connects you with the people you share Facebook friends with. In case, you already viewed all the friend of a friend connections, Hinge will link you with other people from your broader social network. The point is to bring people from the same social network together. Hinge covers the Discover feature, which allows you to go beyond the regular suggestions. With Discover, you can find people whose preferences match yours. You can also improve your dating experience with Hinge Experts. They will help you to choose the best photos and introduce you some exciting conversation starters. Preferred Hinge membership covers unlimited likes, additional filters for preferences, Hinge Experts and more. Preferred membership will cost you $7 a month. To temporarily deactivate your Hinge account, go to Settings. Here tap Account, scroll down and tap Delete Account. Confirm your decision with a password. Note that if you simply remove the Hinge app, your account won’t be deleted automatically. Make sure to deactivate your account first in order not to cancel your subscription. The majority of Hinge users are between 23 and 36 years. While Tinder’s target audience is much younger (the users are mainly 18-24 years old), Hinge keeps attracting older users by their transparent approach to match-making. Relaunched in 2016, Hinge said goodbye to their hook up app image and turned their service into serious relationship platform. They succeeded in engaging many new users and creating a wide network of connections. With 8 million matches, Hinge is definitely an app to try.